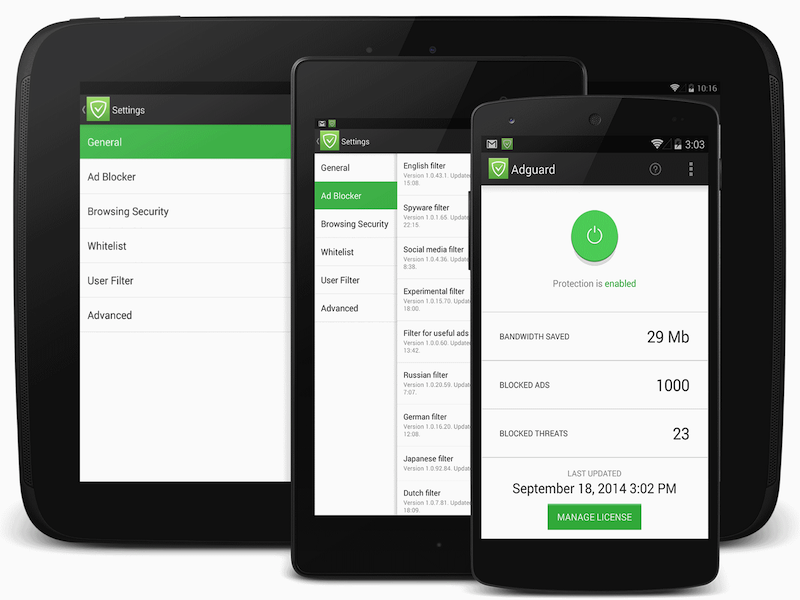 We promised that it won’t stop us, and we will continue to develop Adguard for Android. Yeah, we are keeping that promise. Today, we finally released a new version of our app. Now we would like to elaborate on some changes. Unlike in Adguard for Windows, we can’t fully decrypt HTTPS traffic in Android version. Therefore, we had to limit ourselves to filtering by domain names. It gives you less options, but nevertheless allows you to block the majority of advertising networks. Now you are able to use the colored Adguard icon, or even remove it at all. Unfortunately, if you are using VPN filtering mode, then hiding the icon will be available to you only in Android 5.0. In older versions the operating system is responsible for the icon, and we can’t affect its presence and appearance. To install new Adguard version please follow the instructions at this link. Meanwhile we continue to develop Adguard for Android. Future versions will bring many great changes.